All Jackpots Casino is a part of the Jackpot Factory group of casinos that has been founded in 2003 and is fully licensed by the Kahnawake Gaming Commission. It also displays the eCOGRA seal of approval at their website, which comes as a guarantee for safe and enjoyable gaming experience provided. 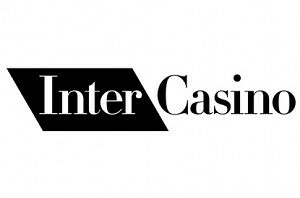 The casino and all of its games are powered by MicroGaming, that is an industry leading company offering hundreds of casino games as well as online poker services. 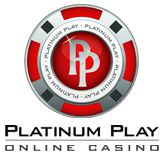 The variety of games that can be found at All Jackpot Casino is quite amazing. You’ll be able to choose from more than 400 games in total, which includes more than 200 slot titles, most of whom are known by anyone passionate about online slots. All Jackpots is also home to progressive slots and offers more than $3 million in these. All you have to do in order to have a shot at winning these is play slots online! Games can also be enjoyed in two variations of the software – downloadable client as well as an instant flash play version that will allow you to enjoy the games directly from your browser with no download required at all. With a variety of games like can be found at All Jackpots Casino, it gets hard to choose one to play. 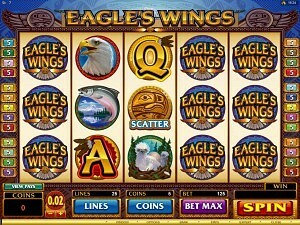 We’ve decided to make a list of the Top 5 slot machines you should try, in case you decide to join All Jackpots Casino. BattleStar Galactica – a new release and addition to the portfolio of MicroGaming’s slot machines. BattleStar Galactica is a 243 ways to win slot game, themed after inter galactic fights. Experience all the new features including lon Storm that can turn all the reels wild at any time. The Dark Knight – this is a 243 ways to win slot machine that is themed after Batman and also features other characters from the movie. The game includes wilds, scatters and a sizeable progressive jackpot, which often goes past the $1 million mark. Immortal Romance – another new slot release from MG slots. It’s also using the new 243 ways to win feature, which disables the use of pay-lines. Immortal Romance is themed after the saga Twilight and emphasises the theme of disallowed love. 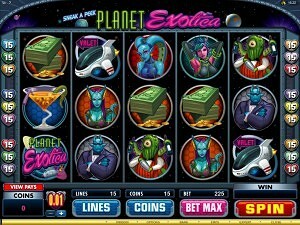 Mega Moolah – a famous progressive slot machine that is famous for that reason exactly – it’s progressive jackpots. Mega Moolah has paid a handful multi million jackpots with some of them being as high as $8 million. The slot itself is a quite simple 25 pay-line machine, themed after the wild jungle and offering bonus game awarded completely randomly. HitMan – a video slot machine themed after the popular console game with the same title. Win up to 112,500 coins by playing on up to 20 pay-lines. There also are scatter symbols as well as wilds. Join All Jackpots Casino and claim your $200 welcome bonus!